Somebody told me that Greek islands all look the same and not to waste my time visiting them all. This person was very very wrong. I wish I could have visited every single Greek island, even the inhabited ones. They are all different and they are all beautiful. 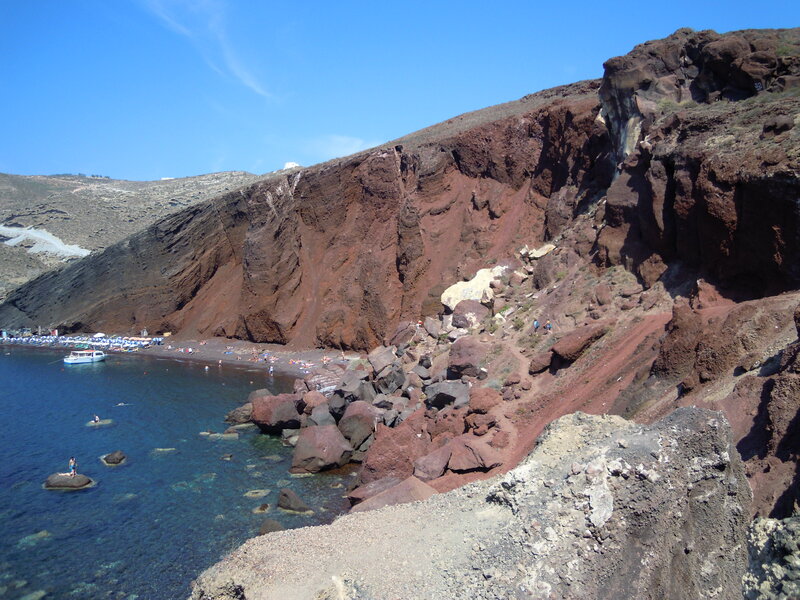 The beaches are beautiful and unique: like the Red Beach which can be reached by boat or by foot through a narrow path. 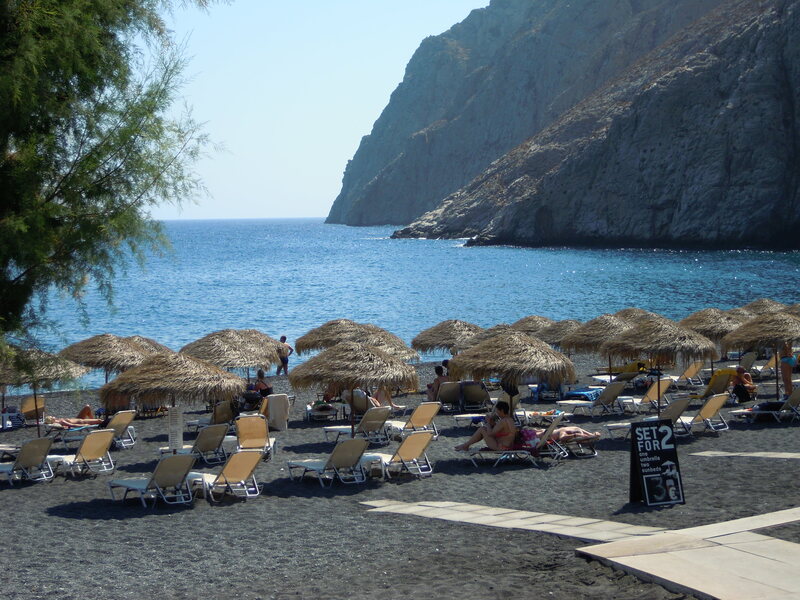 Or, in case you’re looking for total relax, Kamari Beach with its black sand and the cheap sun beds. 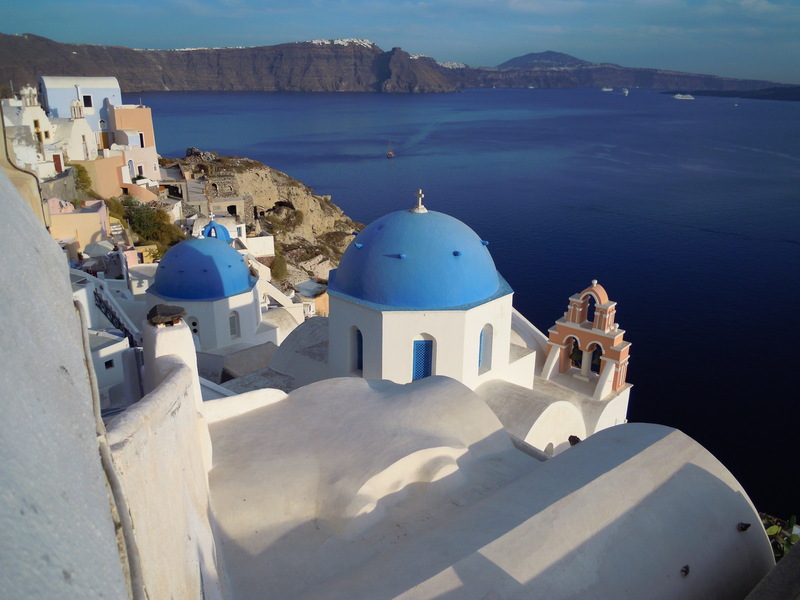 Santorini also offers a site of archeological interest. 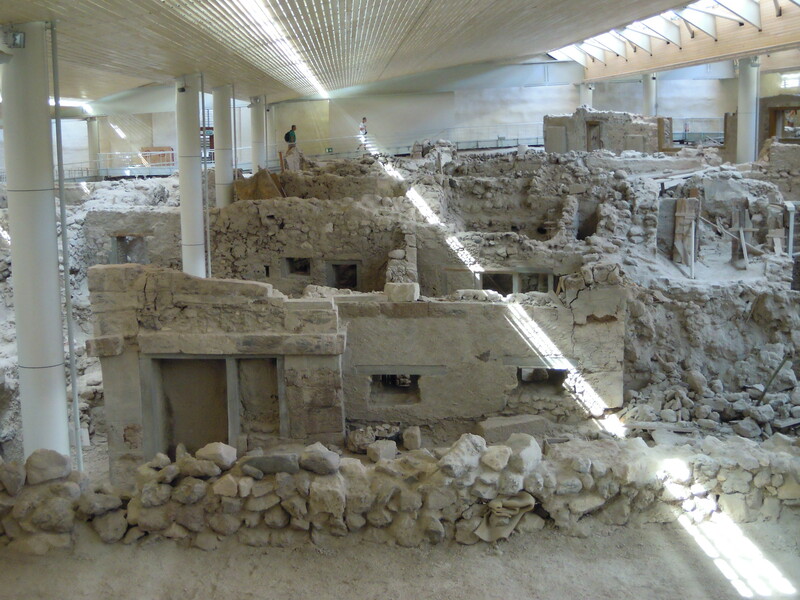 Akrotiri‘s excavation site is a Bronze Age village which was buried by a volcano eruption and for hence is very well preserved. We only stayed for 3 days but I fell in love with the place. We slept at the lovely Zorzis Hotel in Perissa and had the best seafood at To Psaraki while watching the fishermen in the harbor below. After false starts and storms, especially during the weekend, I feel summer has finally come! and I’m not the only one who had that feeling!! Here in France, the perfect dress to hit the beach is the blue striped one. I found this one at H&M. Very pretty and inexpensive too! It comes with matching flip flops! Would you wear a blue striped dress or t-shirt to the office? I do! And love it! What’s better than a white dress in a sunny day or a hot night? It’s a day&night passepartout! Do you like the match white/leather or white/bright colors for the day and white/blue or white/silver for the night? Looking out of the window on a sunny day. 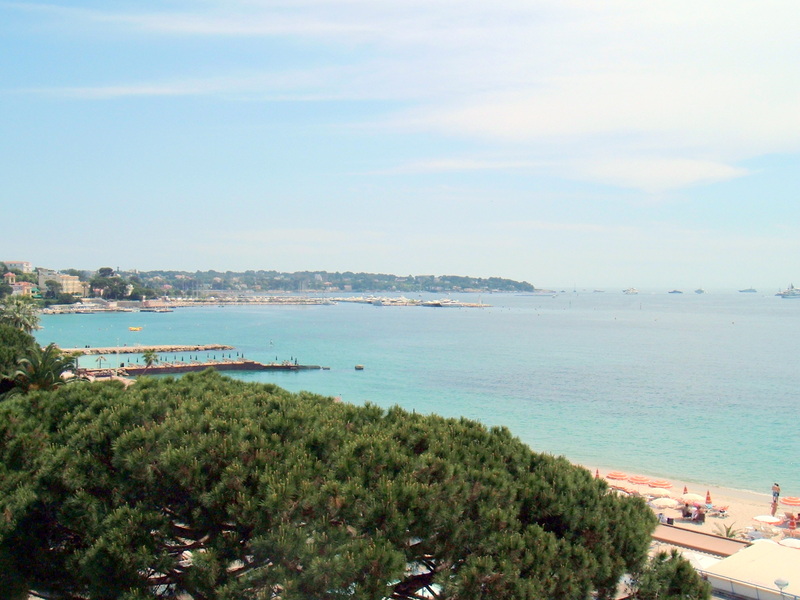 The Film Festival is taking place somewhere out there in Cannes. Yesterday night I went to a screening of an Aussie movie. Quite raw. Kept my eyes closed for a while. Probably I’m not going to be a movie critic. Nor an actress. So what? Clearly I still haven’t figured out what to do. As Bruno Mars puts it “…my job’s got me goin’ nowhere so I ain’t got a thing to lose”. So true.